Tamizh Padam 2 1st Day Collection Opening TP2 First Thursday Box Office: Shiva’s Tamizh Padam 2 has got a good box office opening on its 1st day of release in Tamil Nadu. 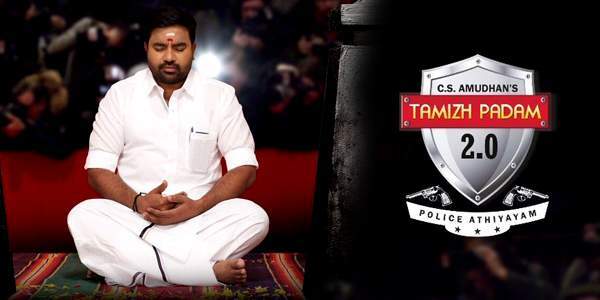 The CS Amudhan-directorial TamizhPadam2 has been receiving fantastic reviews from both the audiences and the critics. Now, the positive word of mouth will do wonders in terms of its business in the next two days. It has been released on over 200 screens in the state itself. The movie of an A-list actor got special shows early in the morning in Chennai. The credit should be given to the cleverly made trailers/promos which pulled the viewers’ attention like anything. Also, the team didn’t spend much on the film’s promotional activities. The Tamizh Padam2 advance ticket booking witnessed 70% occupancy in most of the theatres. Going by the early trend and reports, it looks like that TP sequel will become the first hit of the second half of 2018. Rakesh Gowthaman, the head of Vettri Theatres has said that the movie has got good advance bookings for the weekend too. He added a decent word of mouth will make it a superhit flick. It will be interesting to see if Kadaikutty Singam of Karthi have any impact on the Tamizh Padam 2 collection which it releases on July 13, 2018, Friday, i.e. tomorrow. TP2 revolves around a cop and a villain portrayed by Shiva and Sathish respectively. It’s like a cat-and-mouse chase play in the movie. It makes a lot of spoofs on the movies of Tamil A-list actors which are enough to make the audience laugh out louder. In the film, the director Amudhan can be seen trolling some of the popular scenes from the big movies released in the last 8 years. Stay tuned to The Reporter Times for the latest news regarding the Indian film industry and more. Don’t forget to share and come back.